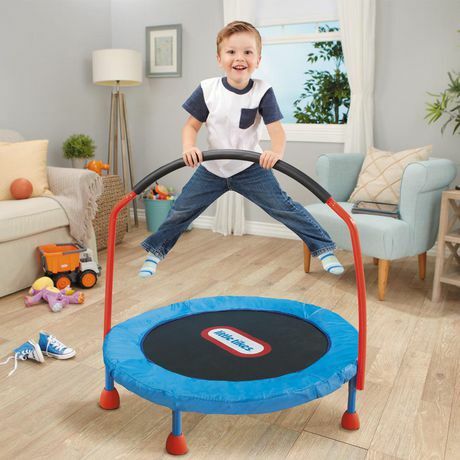 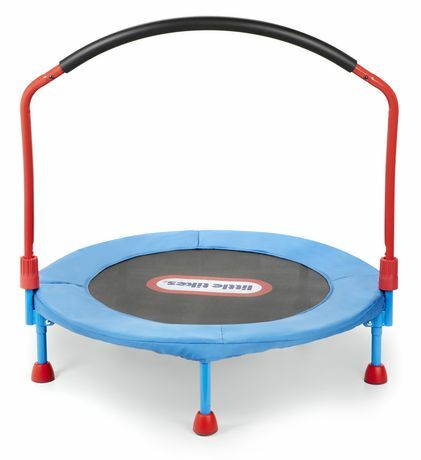 Little Tikes knows it is important for toddlers to stay active, and the 3-foot trampoline is easy to move so kids can bounce where ever they like any time they like! 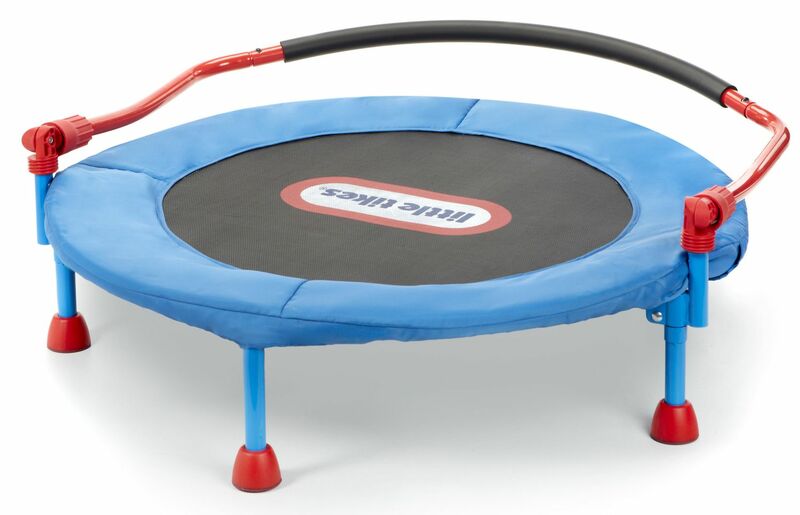 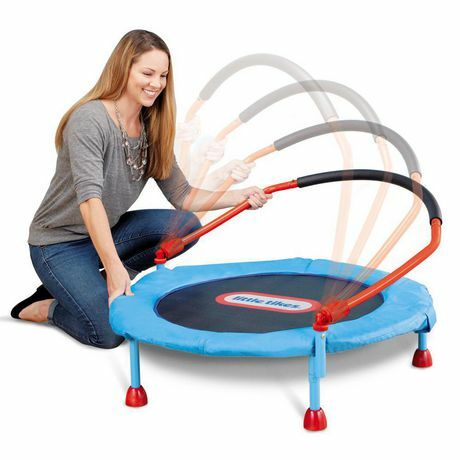 The handle bar on this mini trampoline folds down for easy storage. • Maximum weight limit: up to 55lbs.